The mention “Middle Ages” conjures up thoughts of castles, knights, kings and queens, and poor serfs toiling in the fields. To celebrate the opening of the new Knights exhibition Dr. Dirk Van Tuerenhout, curator of anthropology, will overview of these Dark Ages–the role of the Church, the rise of Islam, the Crusades, art, architecture, as well as economics and social structure. 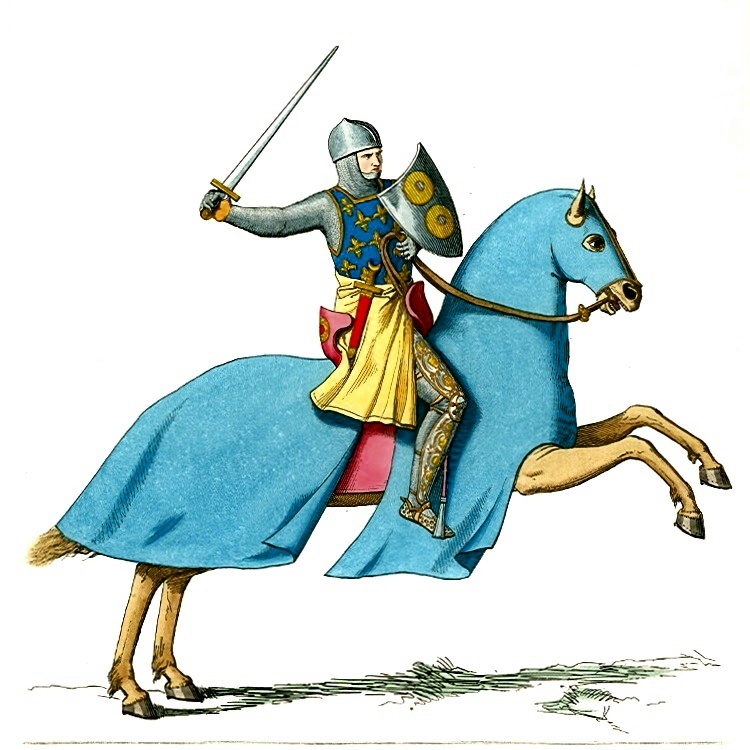 You will learn about the process of becoming a knight, and how armor evolved over the centuries. Last but not least, you will hear about castles and how they too, changed over time from humble dirt and timber forts to massive stone structures with all kinds of clever engineering ruses to keep their occupants safe. Houston, Texas in 1873. 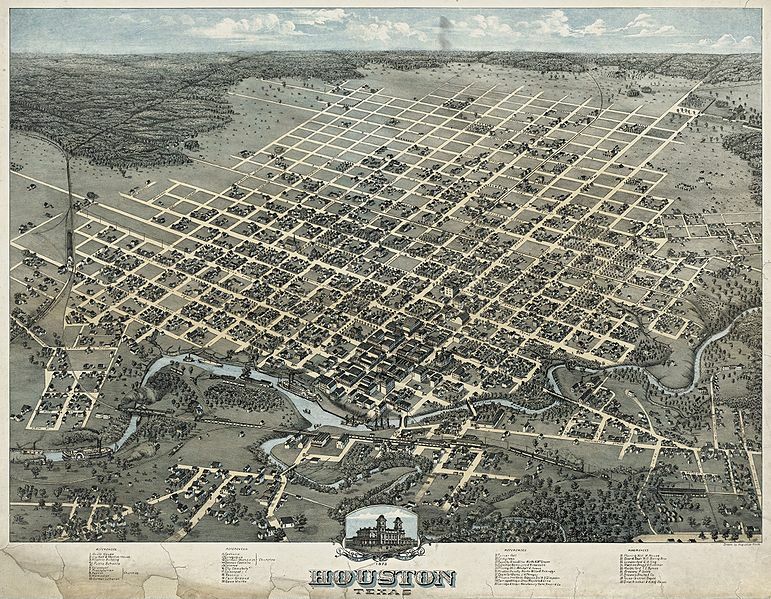 Bird’s Eye View Of the City of Houston, Texas 1873, 1873. Lithograph (hand-colored), 23.2 x 30.1 in. Published by J. J. Stoner, Madison, Wis. Center for American History, The University of Texas at Austin. Several railroads were chartered by the Republic of Texas, and the first line built was the Buffalo Bayou, Brazos and Colorado, which began construction near the Port of Houston Turning Basin in 1851. The BBB&C line became the oldest segment of the first US transcontinental railroad under sole ownership. By the time Spindletop blew in 1901, Houston was such a transportation hub that it became the heart of the petrochemical industry. For many years, the chamber of commerce proudly proclaimed that Houston was the place ÷here seventeen railroads meet the sea. Historian Douglas L. Weiskopf will detail Houston’s history by way of the railroad. Following Weiskopf’s presentation, the “Trains Over Texas” exhibition will be introduced by Glen Rosenbaum and David Temple and all will be invited to experience the miniature grandeur. A book signing of “Rails Around Houston” will also be offered. 2ND SATURDAY Is For Members! Opening at 8 a.m. for Members only. On the second Saturday of each month at our main location in Hermann Park, HMNS will open one hour early for Members only! See the Museum’s permanent exhibitions—always free for Members—before the crowds. Get exclusive discounted entry to special exhibitions, and enjoy arts & crafts, touch carts and guided tours while you’re here. Also featuring—Kid’s Pass! Bring it back every 2nd Saturday and your child will receive a small prize! 2ND SATURDAY is always free for Members. Make the most of your Membership and join us for 2ND SATURDAY. And don’t miss out, now 2nd Saturday will now feature family programming from 9 a.m. to noon —with a different theme each month! Combine science and art to create a great gift for your loved ones this Valentine’s Day! Do as the Romans do! Join us and create a roman craft and visit our new Gladiator exhibit! Get a closer look at bugs from all over the world and learn about what makes them awesome! Combine science and art to create a neat gift for your Mom this Mother’s Day! Stop by and get an awesome design painted on your face! Be a paleontologist for a day and help us search for fossils, you can even take one home! Join us for a hands-on archaeology activity! Create an amazing ornament, just in time for the holiday season! Take it home, or leave it hanging with us – come back in December to see it on the HMNS Member Tree in the Grand Hall! See some of our favorite live animals up close and learn some of the neat things that make them so fascinating! 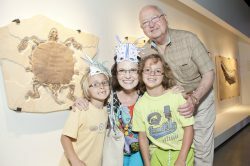 For information about Second Saturday at HMNS at Sugar Land, please click here.